When he was just two years old, Joseph Merrick's mother noticed that some areas of his skin began to change. Some darkened, discolored skin growths were appearing, and they began to look bumpy and rough. Lumps began to grow under the boy's skin—on his neck, his chest, and the back of his head. Mary Jane Merrick began to worry about her son, Joseph, and the other boys were starting to make fun of him. As Joseph grew older, he began to look even more strange. The right side of his head began to grow, as did his right arm and hand. By the time he was 12 years old, Joseph's hand was so deformed it became useless. The growths on his skin were now large and repulsive for most people to look at. Over the next years and with the passing of his mother, Joseph left home, tried working in a factory but was abused by the workers there, and finally ended up in a freak show. By now his face was distorted by the overgrown half of his head, and the flesh around his nose had grown, too, leading the show promoter to dub Joseph "The Elephant Man." Most people know the rest of the story from the 1980 movie, "The Elephant Man," starring John Hurt: how, at first, a doctor, then others including royalty, came to see the intelligent, sensitive man behind the grotesque deformities. People have been moved by the universal message of tolerance of the differences found in Joseph Merrick's story. But what most people don't know is that it took 100 years for doctors to correctly identify his medical condition. It wasn't until 1996 that the answer to what affected Merrick was found. A radiologist, Amita Sharma, of the National Institutes of Health (U.S.), examined x-rays and CT scans of Merrick's skeleton (kept at the Royal London Hospital since his death). Dr. Sharma determined that Merrick had Proteus syndrome, an extremely rare disorder, itself only identified in 1979.
partial gigantism of the feet, and darkened spots or moles (nevi) on the skin. Merrick's appearance, and especially his skeleton, carry all the hallmarks of the disorder, although apparently an extremely severe case. His head was so large that the hat he wore measured three feet in circumference. More than anything, Joseph Merrick wanted to be like other people. He often wished he could lie down while sleeping, but because of the size and weight of his head he had to sleep sitting up. One morning in 1890 he was found lying down in bed on his back, dead. The immense weight of his head had dislocated his neck and crushed his windpipe, suffocating him. He was 27 years old. Weird Encyclopedia. 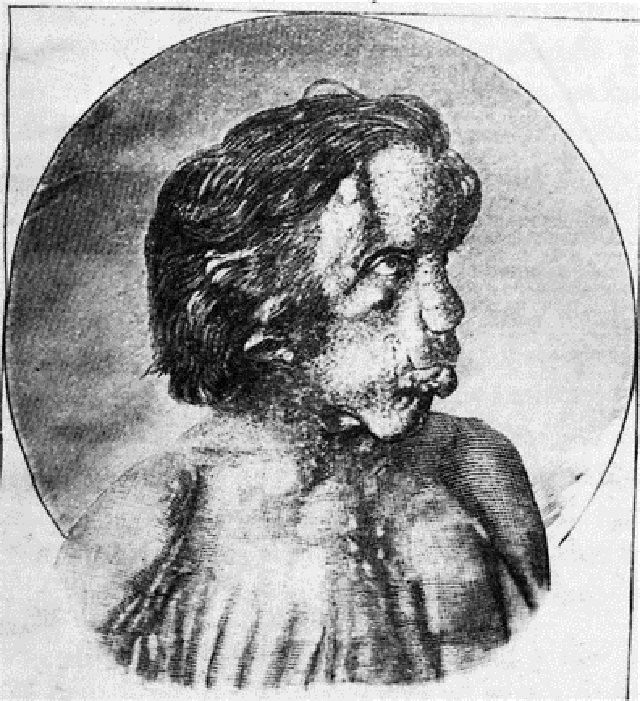 Joseph Merrick – the Elephant Man. Is Rain Man Syndrome Real?